SEOUL, South Korea, May 17, 2018 /PRNewswire/ -- Public blockchain Aurora hosted a press conference at the Four Seasons Hotel in Seoul marking the blockchain's global launch. 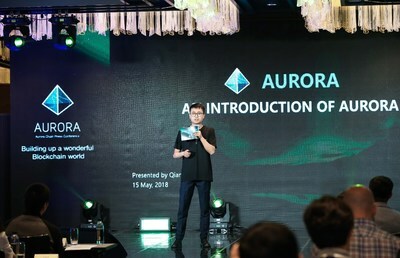 During the event, Aurora's founder Aqua Zhao announced Aurora blockchain network is scheduled to go live today. Hundreds of journalists from China, South Korea, UK, US and many other nations were at the conference. He further shared his vision for Aurora, a public chain that will lead the next-generation blockchain technology and application. "We seek to go beyond the blockchain to bring real value to the world", said Zhao. The team put a lot of their effort into technology, innovation and adaption to better suit the industry requirements of video games, Big data, Artificial Intelligence, Internet of Things and countless others. According to Zhao, Aurora will build a Dapp-enabled blockchain world. The solutions Aurora provides are more than just technical support. The Aurora team will cooperate with Dapp developers to explore new business models and bring real-world assets and rules onto the blockchain. An example given by Zhao is that digital assets and game mechanics can be represented or even substituted by smart contracts or tokens. Aurora is built with DPOS+BFT consensus to avoid unwanted and unintended forking. It is a P2P stereo network that supports multi-asset launching. Another noteworthy innovation is the 'Intelligent isolation of applications' that creates a smarter pending zone to facilitate incoming transaction requests. 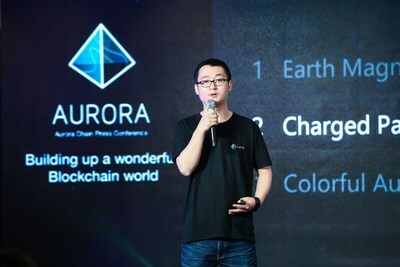 Aurora's Chief Technology Officer Arthur Qiang said, "these technologies greatly boost the transaction speed of Aurora." "Aurora is the product of months-long of development from our tech team with a lot of time and energy put into it. We have many innovations like the multi-chain parallel operation, upgradable blockchain and cluster grouping", Qiang said. All these innovations theoretically can guarantee Aurora's unlimited processing speed. After the speech, it was also announced that Aurora joined the World Blockchain Council (WBC) and signed cooperation agreements with BIT.GAME, XFurure and Light Second. The cooperation between these organizations and Aurora starts after today's announcement. In June, Aurora will expect 5-10 blockchain based games, 1-2 management dapps and 12 media/information decentralized apps. 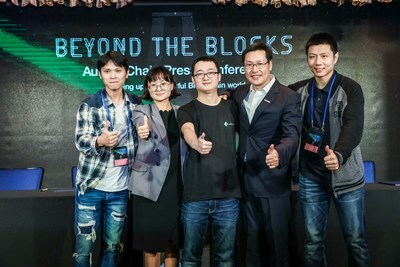 Besides the launch, Aurora invited several keynote speakers to the event. Notable speakers included David Song, WBC Founder and Muhd Amrullah, CEO & Founder of Facerecog. Discussions over the public chain, blockchain plus gaming and blockchain disruption in different industries were also organized. The speakers hold high regards to Aurora's technology and potential.